The CiVi.net project consists of three parts: (A) Analysis, (B) Action and (C) Dissemination (see image below). In the first part A, CiVi.net analyzes and assesses existing locally owned solutions for ES management in case studies in Costa Rica and Brazil. Of particular interest are the community based instruments and specifically the governance models behind these solutions as well as the relevant criteria that made them successful in the given context. Part A is related to Work package WP4 andWP5. The challenge of part B is to generalize the findings of part A. In the second part, the results of part A will be used and adapted with respect to so called ‘transfer communities’. CiVi.net will produce practical and scientific knowledge. These transfer communities face similar environmental and social-economic problems as the original case studies and CiVi.net aims to support the transfer of knowledge about management solutions from the original to the transfer communities. Part B is related to Work packageWP2 and WP3. Part C focuses on the dissemination of the generated knowledge to the general public and several other user groups. In this phase, CiVi.net will distribute the produced practical and scientific knowledge among a wide audience. Part C is related to Work package WP6. 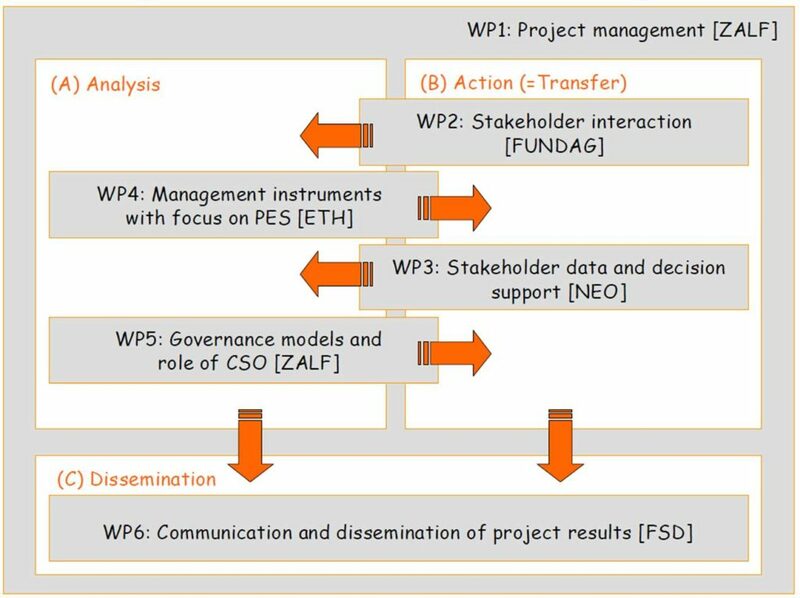 Overall management of the project is captured in Work package WP1.